When it gets really cold, but the snow is too good to miss, you need good mittens for your hands. 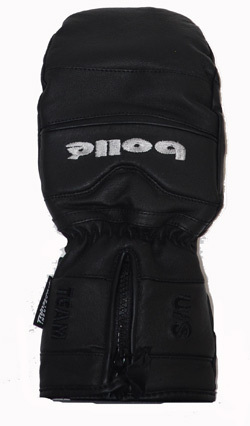 These all leather mitts from Bolle offer excellent warmth as well as superior finger control. Thinsulate (40gr)insulation keeps the heat in; Drypel waterproof-breathable membrane keeps the water out. The soft leather is reinforced in the palm to make an already durable material even better. With these mitts, you'll be out there enjoying the mid winter snow when the crowds are in the lodge.